If there’s one food I could never resist that would be ice cream. It may be one of my biggest weaknesses. But an even bigger weakness? Ice cream in a cone. I’m pretty sure that my first true love in life was an ice cream cone. 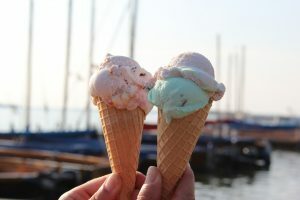 It’s such a nice treat, especially on a hot summer day or, on a day like today – which happens to be National Ice Cream Cone Day. If ice cream is a sometimes food for you (like me): Go nuts! No, really, top that ice cream with chopped, unflavored nuts for some added protein and nutrients. But seriously, even if nuts aren’t you’re thing – go ahead and enjoy your cone. If this is truly a treat for you, enjoy it completely and guilt-free. Savor the full-fattedness and the candy crunch, or whatever may appeal to you. Just keep it in the context of an overall healthy diet. If you need that one sweet treat per day (like Elana): Size matters! A single scoop on a cake cone may be enough to satisfy a sweet tooth, or put a tasty cap on a long day. It’s been said that nothing tastes as good as the first bite, so keep it small. Again, one small cone within a day of healthy choices is called balance. If you find yourself having a hard time with self-control (hey, it happens to the best of us), choose pre-portioned ice cream cones. SkinnyCow has a few flavors that satisfy a sweet tooth but with only 170 calories per cone. Or try one of the lower-calorie, higher-protein pints such as Halo Top or Breyers delights. If you love waffle cones but can’t stomach the amount of ice cream it takes to fill one, try this fun trick: ask for a small cup with the cone on the side and crumble waffle cone pieces as a topper. I’ll bet you don’t even need to use the whole cone! All the taste with less ice cream and no mess. Either way, enjoy that cone, and happy National Ice Cream Cone Day! Just be sure to eat your vegetables tomorrow. We all want to know more about the foods we eat, right? And food marketers are quick to oblige. Pick up the closest box of something in your pantry, and you might be bombarded with information about that food — all-natural, low-fat, whole grain…the possibilities are virtually endless. The fact of the matter is, what’s printed on the front of the box is somewhat regulated — there are certain things food manufacturers can and cannot say. For example, certain criteria need to be met for a food to be labeled a “good” or “excellent” source of a nutrient, or “low fat,” or “low in sodium.” But what about other claims that imply a benefit – like “all natural?” Even labels such as “whole grains” may contain a fraction of whole grain ingredients, with the majority made up of refined grains. Serving size: Does the nutrition information listed on the panel account for the entire package, or some fraction of it? My favorite are those large single cookies, with the serving size set at 1/2 cookie. Like you’d eat just one half and put it away! Calories, fat and cholesterol: Taking into account the serving size, are these numbers manageable? These are things you want to limit, with a total daily intake not to exceed 100% Daily Value (that percentage next to the grams) Is that single food item really worth a quarter or more of your daily recommendation for total fat, for example? Fiber and calcium: The 2010 Dietary Guidelines for Americans name fiber and calcium two “nutrients of concern,” meaning we need to get more of these. Most of us need between 25-38 grams of fiber per day, and 1,000 mg calcium. You want to shoot for foods that provide at least 10% of these two nutrients per serving. Ingredient list: This perhaps has the most information about what’s in the food you’re eating, but is also probably the hardest to decipher. For grain products, even those labeled with “whole grain” on the front of the package, you want the first ingredent indeed to be a whole grain – whether it’s whole wheat flour, brown rice, etc. If you’re looking to avoid trans fats – which we all should – don’t trust the trans fat line on the nutrition label. See if you can find “partially hyrdrogenated” in the ingredient list. If so, your product contains trans fats – though not enough per serving to be labeled as such on the panel above (it would need to have at least 0.5 grams of trans fats per serving to make it onto the label. If the product has 0.49 grams of trans fat, the label reads zero!). 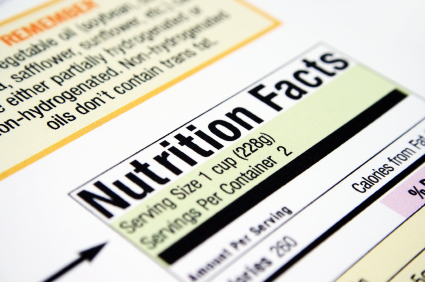 For more information about reading food labels, the Food and Drug Administration has a good online resource for consumers that’s fairly easy to understand. There’s also a great book by a fellow dietitian Bonnie Taub-Dix: Read It Before You Eat It that I recommend. And of course, if you have any questions you can always leave me a comment here. ensure you’re getting a mix of benefits. 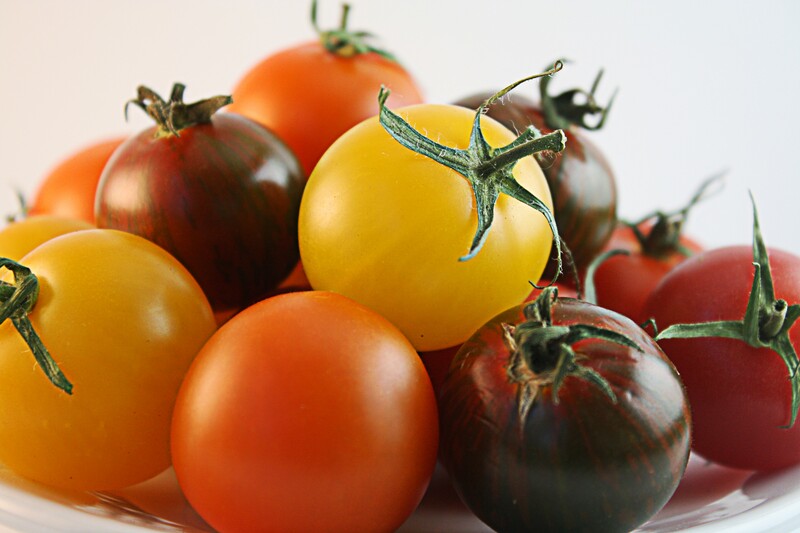 A good rule of thumb is, the deeper the color – the more nutrients. I hate steering people away from one fruit or vegetable to another (such as choose romaine lettuce, spinach or kale over iceberg), since I’d much rather people eat veggies and fruits…period! But as you make your food decisions, ask yourself – can I go with something a bit more nutrient-rich?